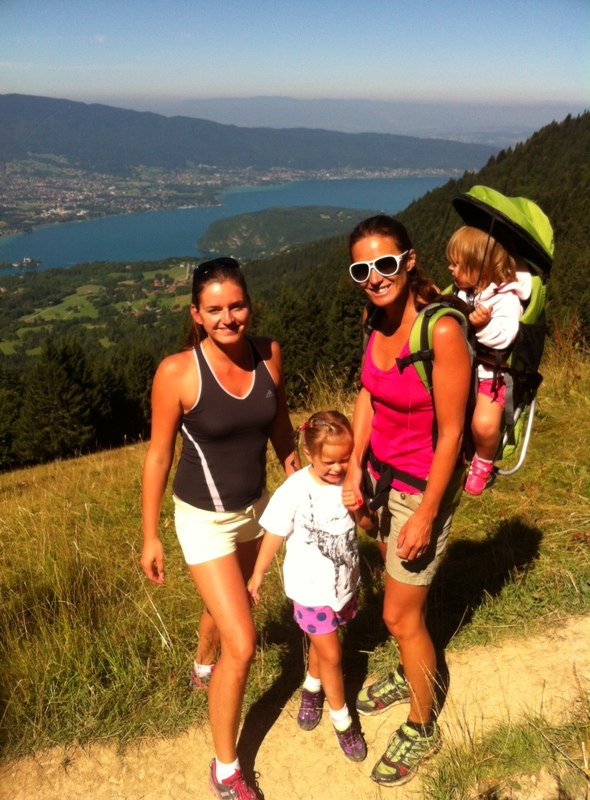 One of the many fabulous things about living in Annecy, is that with such gorgeous surroundings… there are lots of great walks to do as a family! We are still exploring so please leave comments with more if you have some top tips! After an excruciatingly painful trip to London this summer, where my eldest, who is four and a half refused to walk pretty much anywhere (without a huge argument)…and I spent most of my time explaining to her why she was too old to get in her younger sisters pushchair or carrying her on my shoulders…I decided a plan of action was needed once we got home! So the plan of action!!! 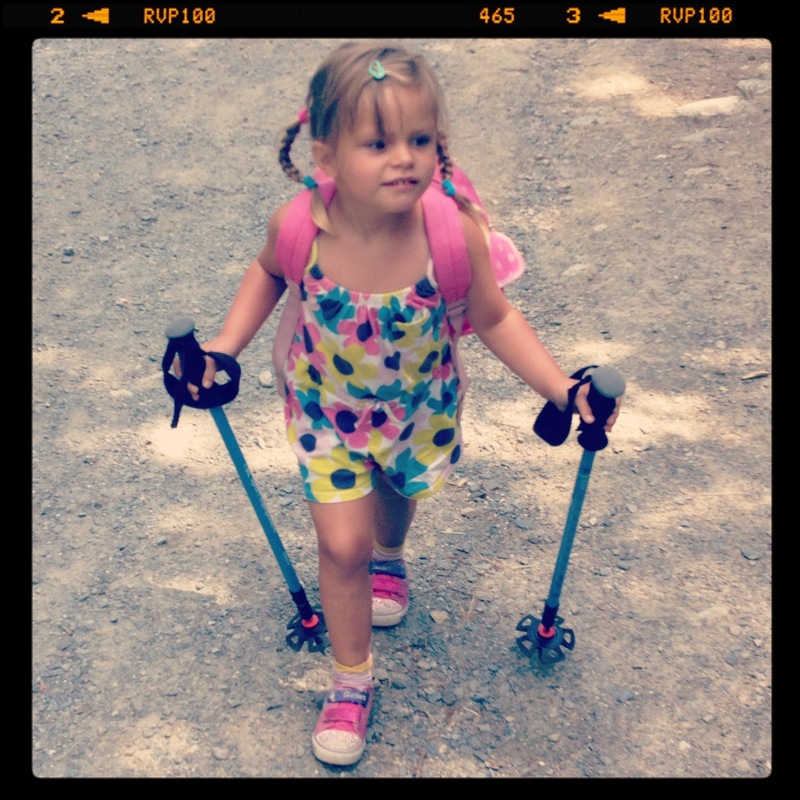 It actually turned out to be quite successful (not a miracle either but…Rome wasn’t built in a day) and enjoyable, so I thought I’d share it with you just in case you too have lazy little ones and/or just like getting out and about! Plan 4: If possible go with friends who have children of a similar age who aren’t as lazy 😉 Nothing like instilling a bit of competiveness or just simply distracting your child. This was the first walk with the new walking shoes & I would recommend it! Once parked (very busy in the summer), walk past the bar-restaurant the chalet de l’aulp and take the path that heads down into the forest. You head through the forest on this lovely path to a crossing point with a stream, we were lucky enough to see several chamois drinking up stream. 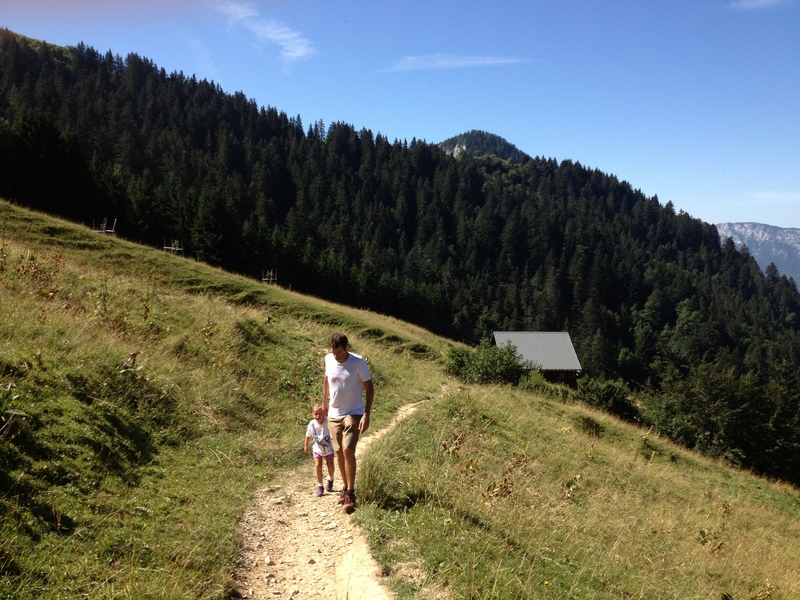 The path then heads up through a farmer’s field towards the Col des Nantets (ignore the path towards Talloires). We saw lots of cows which too created an added diversion from not wanting to walk!! 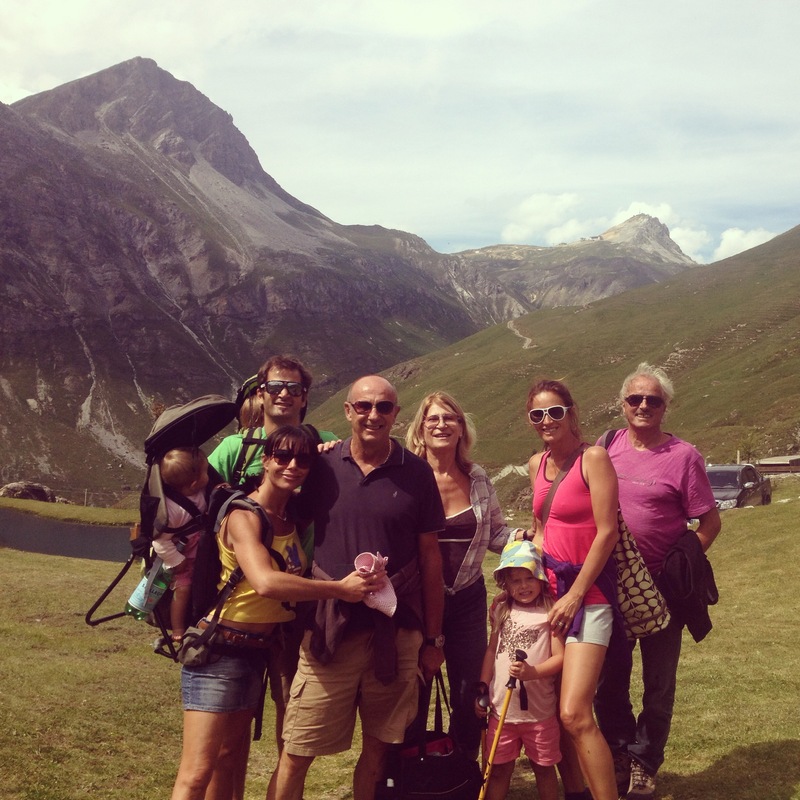 The col has a lovely iron cross…which we walked to and touched (another distraction!!!). You also get some great views down the valley of Montremont (towards the fish farm). You can then walk round to the Chalet de la Froulaz for lunch. The walk took us approx 45 – 50 mins. You have to pre-book lunch and the menu is limited but good. If you’d like the specialty of “beignets de pomme de terre” – you have to specify this when booking (we didn’t but they looked good). The other food was pretty good too…with fresh, Savoyard fare – cheeses, hams, omelettes, tarts etc. 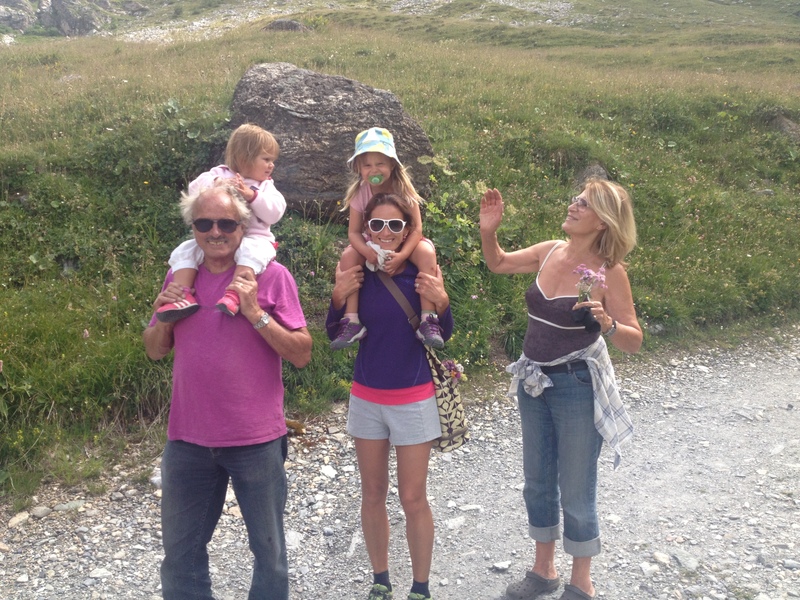 It’s the second summer that we have done this walk as a family, with friends and it really is lovely. Once in Val d’Isère head towards the Manchet Valley and park as far as you can get, there is a little car park at the end of the valley, before the walking track. 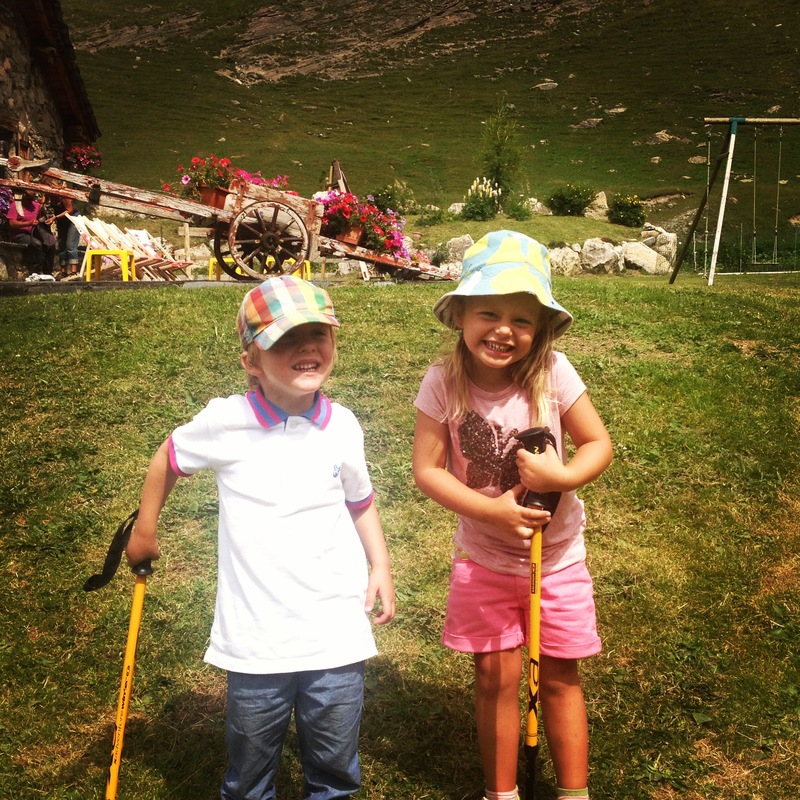 The Chalet de l’Arsellaz is sign posted and takes approx 30-45 mins walk (either up the main track – on the left hand side looking up or a small path on the right hand side), subject to your kids walking abilities! At certain times of year there are lots of marmot’s to be seen and chamois (with binoculars). The Chalet is lovely for lunch, however you do need to pre-book. It’s great for kids…there is plenty of space for them to run around and let off steam post meal, so you can finish yours. There are horses next to a tiny lake and there is a lovely grassy area with swings and such like and some hens in a small enclosure to look at. There is a set menu: we had cured hams, omelets, fresh bread, a cheese platter and blueberry tart. They do half portions for kids if you let them know in advance. You can pre book lunch on: 0479411230 – they are only open in July & August though. It’s a reasonable drive up there; however there is a lovely “balcony walk” from the top car park and the cluster of restaurants up to terre rouges where there is also a restaurant called terre-rouges. My parents in law wanted to take us to there http://www.restaurant-terres-rouges.fr/photos_restaurant_terres_rouges.html apparently the views are amazing, the food delicious and it’s owned by friends of my parents in law who are also apparently lovely. Unfortunately it had been privatized for a party. So we decided to walk in that direction anyway. The walk is great and pretty easy with fabulous views down the valley. 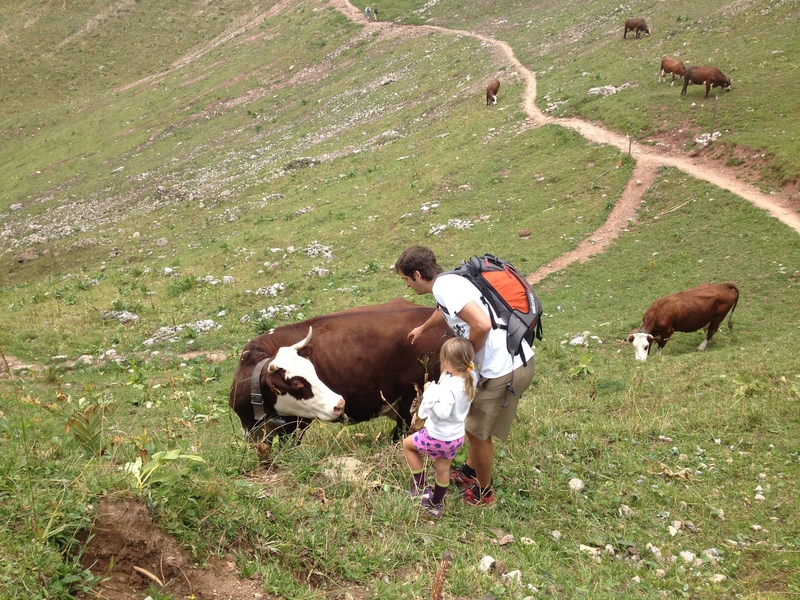 We encountered lots of cows and had a nice time. There and back took approx 1hour 15 with lots of stopping and starting, to get us back in time for lunch in one of the restaurants in the cluster. Lunch was the usual Savoyard fare …we opted for “beignets de pomme de terre” which I thought were ok…But my father in law, a “local” & apparent “connaisseur”, was very disappointed with them and the lack of service, to the point that it ruined his lunch. The dishes all came out at different times, with no logic. The waitress was charming but had too many tables to serve and physically couldn’t handle the work load and my father in law who invited us all, said it was over priced… It has to be said we did go on a Sunday and they were very full …But if you do go there avoid it. I can’t remember the name but as you drive up it’s the last one on the right hand side overlooking a field, with a terrace at the back. Voila! Happy walking & let me know your ideas too! This year though I’ve been taking him out all summer and he’s a like a brand new kid – we’ve done some huge walks with him and his tenacity and determination take my breath away. 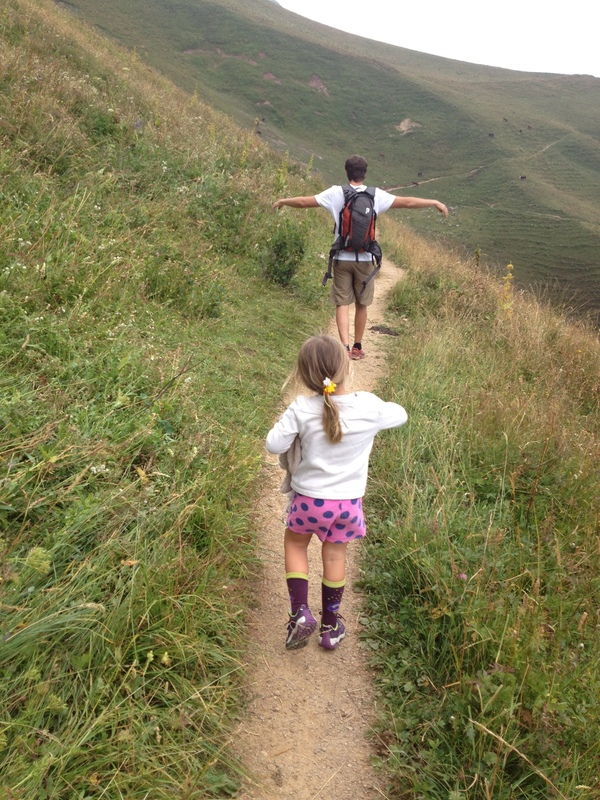 Top tips I’ve found are always having an ‘exciting’ goal to head for (a chalet, a cross, a river etc); setting stages and giving him the option to turn around at each stage (he never does, I’m sure he’s not my child…); lots of sweets and biscuits in the bag; letting him carry his own little rucksack with a water bottle in which has a pipe so he can drink when he wants; and avoiding really wet, cold rainy days. As regards timing, I’ve found that times on signposts should be doubled (less a bit) on the way up (a local walk signposted 1h50 which climbs about 650m takes us about 3h30, including breaks); it’s only necessary to add about a third of the time on the way down (depending how tired he is). 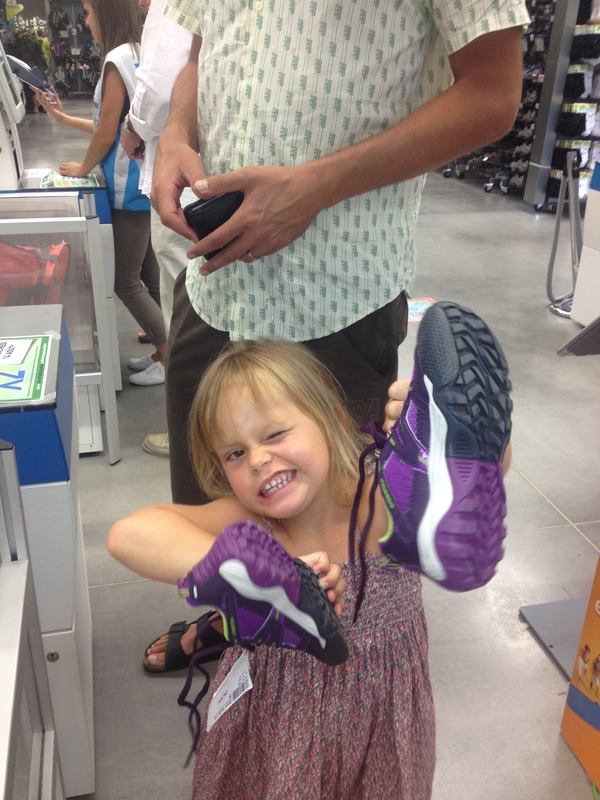 Love the shoe therapy by the way – definitely the way forward!